At last Friday is here and it is time for us to announce the winners of our 'Photo Inspiration' challenge. It was great to see the variety of ways that this photo inspired you and thank you so much for your continual support for our challenge. One lucky entry has been featured on our Facebook page so head on over to see if it is you! Well done to all the winners, such gorgeous creations. Thanks so much for the shout-out! Wow - I am truly honored! Congrats to my fellow HM's and of course the winner - fantastic cards everyone! Congrats to Vicky on her win, and to all the HM recipients! Beautiful cards, ladies! 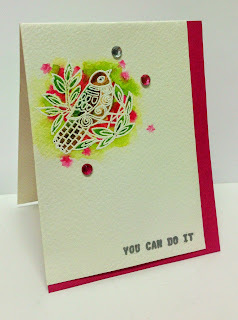 Also, I want to say thank you so much for selecting my card for HM...I am so humbled and glad you liked it so much!